Kilmarnock and Partick Thistle shared the spoils in an entertaining 1-1 draw in the Ladbrokes Premiership. Striker Chris Erskine struck the opener with 20 minutes left on the clock as the home side failed to cope with incessant Thistle pressure. But Thistle goalkeeper Tomas Cerny's calamitous late error gifted Kilmarnock a point as he spilled in Conor Sammon's tame shot. 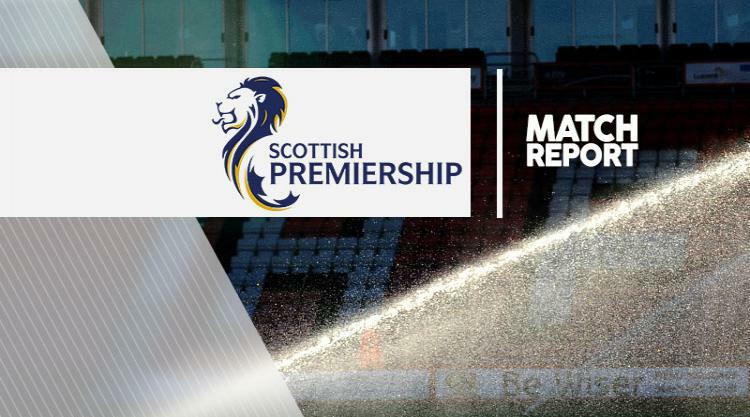 Kilmarnock had a number of scoring chances in the first half yet Thistle came closest to netting in the opening 45 minutes as midfielder Steven Lawless stunned the Rugby Park crowd with a dipping long-range volley which struck the bar. After the break, it was Thistle who dominated the exchanges, the woodwork again saving the home side's blushes as Adam Barton cracked a shot off the post, before Chris Erskine's neat finish looked to have won the visitors the game. Sammon's late equaliser means Thistle remain in sixth place while Kilmarnock will feel they are still locked in a relegation battle following the point. The home side spent the opening stages on the front foot and went close to taking the lead after 17 minutes when Scott Boyd met a Jordan Jones corner with a powerful header. However, Thistle goalkeeper Cerny was equal to it and palmed the ball over the bar. Kris Boyd then threatened to break the deadlock, but the in-form striker lashed over the bar after being played through on goal by Rory McKenzie. And on the stroke of half-time, the Jags were unfortunate not to go in front as Lawless' superb half-volley from 25 yards cannoned back off the crossbar. At the beginning of the second half Australian Ryan Edwards should have capitalised on Kristoffer Ajer's defensive error but the Thistle midfielder failed to find the target as the ball fell to him on the penalty spot. Kilmarnock could not cope with the unrelenting Thistle attack and Erskine, who was a constant menace throughout, unleashed a first-time volley which threatened to nestle in the bottom corner. Thistle were to be denied by the woodwork once more in the 70th minute, Barton's rifled effort striking the left-hand post. But eventually, the pressure would tell as after 73 minutes Erskine found time and space in the opposition box to turn and apply the finish from 12 yards. Yet as the visitors looked to be cruising towards victory, Cerny's late blunder meant both teams would have to settle for the point as the goalkeeper failed to control Sammon's weak effort on goal.